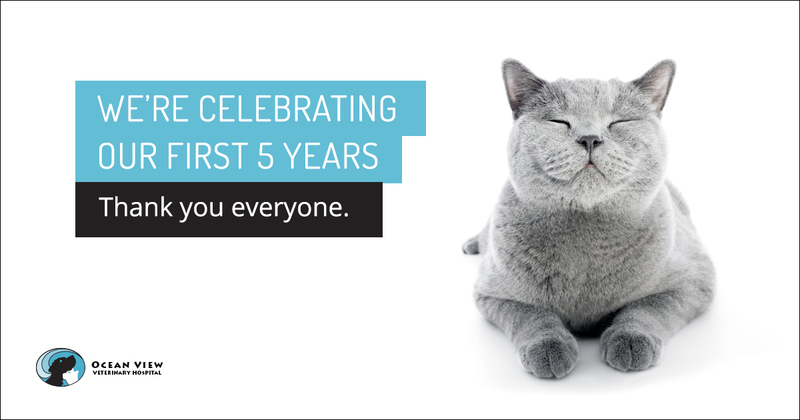 This month, we are thrilled to be celebrating a major milestone—five years ago, we opened our doors! Especially at this time, we’d like to thank all of our customers for your trust, friendship, and continued support. We would also like to express our gratitude to the Cape May Community at large for welcoming us into the region and helping to spread the news about our veterinary practice far and wide. Every day, we get to do what we love to do best, care for animals. It is a privilege to be surrounded by colleagues who share our passion, and customers who love their pets. It goes without saying, we are looking forward to celebrating the next 5, 10, 15 years, and more. No Comments to "It’s our 5th anniversary!"